This award-winning graded readers series is full of original fiction, adapted fiction and factbooks especially written for teenagers. A decision to borrow her mum's car with a friend leaves Jo worrying about the consequences. When she eventually returns home, she finds no one there. 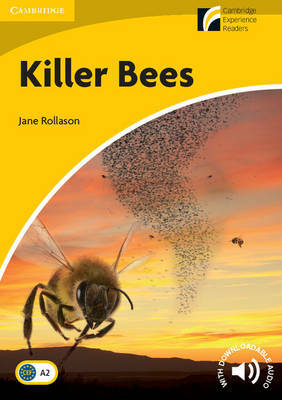 A new breed of dangerous bees has escaped from a research centre and everyone has fled their homes in search of safety. Jo must rejoin her missing family. This paperback is in British English. Download the complete audio recording of this title and additional classroom resources at cambridge.org/experience-readers Cambridge Experience Readers get teenagers hooked on reading.